The City of Johannesburg issued the decision of the Municipal Planning Tribunal (held on 6 to 8 March 2018) on 12 November 2018. The approvalof the MPT is published for public download by individual township. In terms of Section 49(1) of the City of Johannesburg Municipal Planning By-Law, 2016, objectors have 28 days to appeal this decision - therefore, until Monday 10 December 2018. The decision and layout plans are available in the "Downloads" section of this website. e.tv Sunrise recently featured a inset on Town Planning as a Career Choice. Jon Busser was interviewed on this breakfast show. 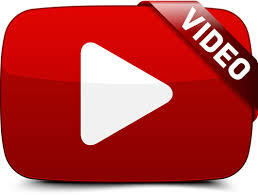 The interview is available on YouTube. Urban Dynamics has recently completed the first phase of the long awaited Germiston Inner City Urban Renewal & Implementation Plan. This plan was aimed at providing a progressive vision for the inner city of Germiston, thereby catapulting it into the next decade and establishing Germiston as the Administrative Capital of the Ekurhuleni Metropolitan Municipality (EMM). 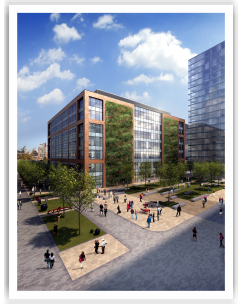 This bold urban renewal and urban design initiative was based on the development of sound public private partnerships that will attract investment and transform the face of the city. The Ekurhuleni Metropolitan Municipality extended Urban Dynamics' mandate to conclude this ground-breaking urban design project. For more information on this project and the company's Urban Design expertise, please contact Jean-Luc Limacher on +27 (011) 482 4131. A new Gauteng City Region Observatory research report, "Mobility in the Gauteng City-Region", is now available for download on the GCRO website. With the Gauteng City-Region’s (GCR) fast-growing population, as well as the many financial, spatial, social, economic and environmental challenges as background, this report considers the challenges of transport efficiency, access and affordability, and to gauge the impact of key transport interventions like the Gautrain Rapid Rail Link, the Gauteng Freeway Improvement Programme and associated e-tolling, and municipal Bus Rapid Transit (BRT) infrastructure. The report can be downloaded HERE. Urban Dynamics was appointed by the City of Johannesburg to complete an Urban Design Framework for the Greenfieds development of the Lehae Expansion Area, which will be one of the first urban design frameworks to be completed for a predominantly subsidized & sustainable township development. This urban design framework aimed to provide unique living opportunities for the citizens of the area; contributing to the positive growth of the City of Johannesburg. Environmental sensitive design and appropriate urban development formed key cornerstones of this urban design framework. Lehae Extension 1 is currently being implemented. Urban Dynamics is assisting a consortium of developers and land owners with the town planning for a project known as Carnival Junction. It was previously known as Badenhorst Estate. This project forms part of the developing Regional Node around Carnival City Casino and the Carnival Mall. The project is located between the Brakpan CBD and Benoni CBD, is supported as a mayoral priority by the Ekurhuleni MM and is set to provide much needed economic growth impetus in a sub-region that desperately needs jobs and other opportunities to its poor urban population. The project extends over approximately 300 Ha and includes industrial, residential, retail and a host of supportive land uses. For more information on this project and the services that Urban Dynamics can offer in terms of planning, design and the securing of development rights, please contact Nomfundo Sibanyoni on 011 482 4131. Heartland Properties, the property development division of AECI Limited, appointed Urban Dynamics for the town planning of Longlake Estate. This project was previously known as Isidleke Estates and is situated to the east of Linbro Business Park and the Marlboro off ramp on the N3 freeway. The project represents a substantial extension to the Modderfontein development node and its implementation follows some of the most successful light industrial, office, wharehousing and distribution projects in Gauteng such as Longmeadow Business Park and Greenstone Hill. The City of Joburg approved the 'superblock' township in October 2010. Approval of the first phase of this project, Longlake Extension 1 was received in May 2011. This first phase, Longlake Extension 1 represents the eastward expansion of the light industrial, warehousing and distribution uses of Linbro Business Park. Further extensions are currently under consideration by Council. For more information, join the movement! Visit www.leadsa.co.za and make your pledge! 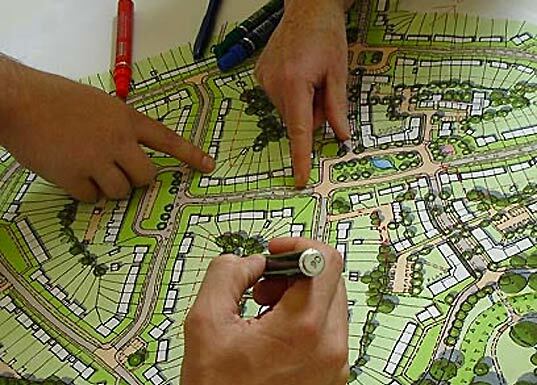 A new Code of Ethics and Professional Conduct for the Urban and Regional Planning Profession was advertised on 17 June 2011 – Notice 347 of 2011 for general information and public comment (in writing) within 30 days from the date of publication. This document can be downloaded here. Urban Dynamics welcomes the initiative to establish a Code of Ethics and Conduct for the Planning Profession. Because Town and Regional Planners act in the interest of the public as they shape the physical world, a strong moral foundation is indespensible. Aspiring to the princilples of integrity, responsibility, respect, fairness and honesty is what the Urban Dynamics virtues are all about. 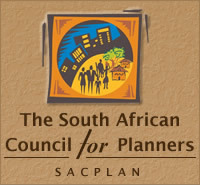 It is also one of the principle reasons why the company continues to participate in its representative professional bodies such as SACPLAN, the SA Planning Institute (SAPI) and the SA Association of Consulting Planners (SAACP).